The CDC Foundation was in need of a brand refresh to give them a look that reflects the great work that they do. We implemented a phased approach that included interviewing key stakeholders – board members, influential donors and partners – to determine how the brand could authentically evolve in today’s digital world. Through extensive research, creativity and collaboration with the CDC, we helped build their brand story, value proposition and brand positioning. 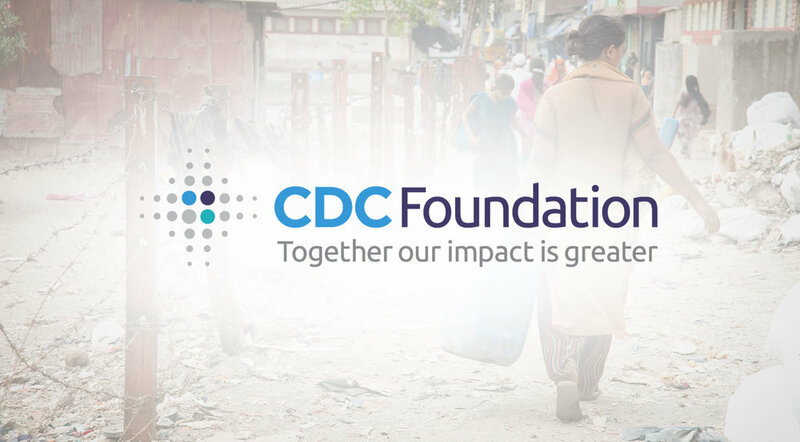 The collective efforts led to a new logo, tagline and brand identity to better reflect the CDC Foundation’s mission. Multiple icons were presented to the CDC Foundation that represent the idea of three parts coming together to inspire outward change. The logo that was chosen represents a nexus of relationships that can have a greater impact together, the new logo features three dots converging in its center. The blue dot represents the CDC, the purple dot represents the CDC Foundation and the teal dot represents the Foundation’s partners. Gray dots radiating out of the new logo’s center represent the impact created by working together. The tagline of “Together our Impact is Greater” reinforces that the power of collaboration is needed to save and improve lives. These dots then become elements that can be used creatively throughout brand assets. The final deliverable given to the CDC Foundation was an animated brand video to be used on the website, in partner presentations and shown in the lobby of their Atlanta office.